We here at FHM are big fans of Fliptop, that rap battle league pitting two emcees in a match to have them insult each other with the cleverest punch lines and sharpest rhymes. If you're not familiar with it, watch this video. YouTube videos featuring local emcees pouring out their minds in battle continue to garner hits by the millions, and the best of them artists have now become online, if not national, celebrities. Makes you wonder how awesome it would be to attend a Fliptop event live and in the raw, much so participate in one. So, here's a better deal: Fliptop is giving all the hopefuls out there an opportunity to do just that. The folks from Fliptop just announced that they are conducting try-outs on Friday, January 21, from 7:30PM onwards at the Guerilla Radio Bar located at Brgy. Kapitolyo, Pasig City. Six slots will be available, all of which shiploads of aspiring rappers will have to fight for. Emcees will be entertained on a first come, first serve basis, meaning aside from being talented, being on time would bode you just as well. Those who will make the cut will be rewarded with a reserved spot in the next Fliptop event. Think, this could be your ticket to becoming a hip-hop sensation or humiliation, depending how gifted you are in mastering the art of battle rap. Dare we say these try-outs are not for the feeble in spirit, but if you’re confident enough rhyming written lines in front of an unapologetic crowd, go ahead and give it a try. But that’s not to say only the ultra-talented can drop by. 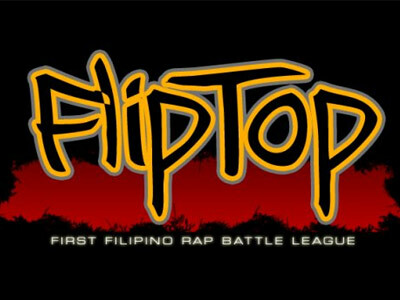 The battle league needs all the support it can get, so do make a pit stop on audition day and be part of the crowd that will help Fliptop determine which emcees deserve a worthy exposure. For more information on this event, check out Fliptop’s Facebook page.